The day started off cold and wet and not at all promising.We stopped at Shiplake lock to top up with water, and then carried on through Marsh lock and down the Henley Regatta course which was being set up for next week. We didn’t meet a lock keeper until Hambledon lock which we shared with a brand new wide Dutch barge. 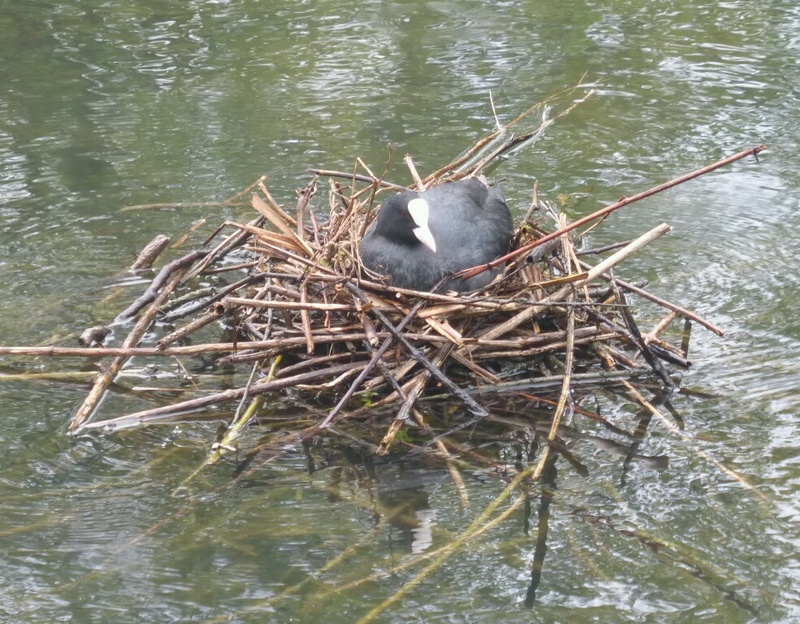 We noticed this coot on her nest. She was right by the side of the lock completely unfazed by all the goings on. 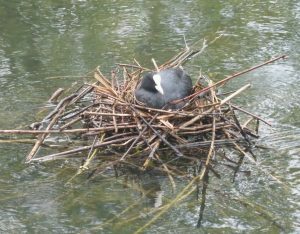 There are a lot more coots than moorhens on the Thames. It’s the other way round on the canals. 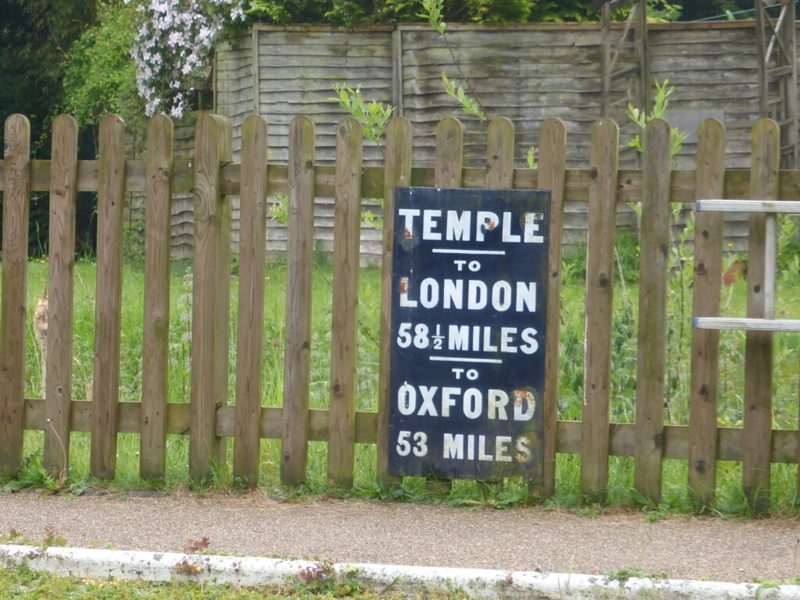 This sign at Temple lock told us that we were nearly halfway to London. We stopped of at Marlow to do a bit of shopping. There are good moorings here provided by the town council. 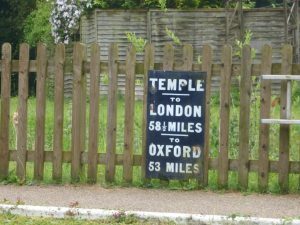 Other towns along the Thames should take note. Lunch was taken at Marlow and by the time we set off again the weather had improved. 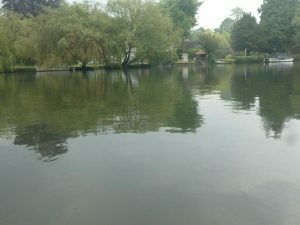 As we approached Cookham lock we noticed some really good moorings at “Bell Rope Gardens”. Even though it was only 2:30 we decided to stop. Heddi cleaned the brasses and then we got out the bikes and cycled into the village of Cookham to buy a few things. 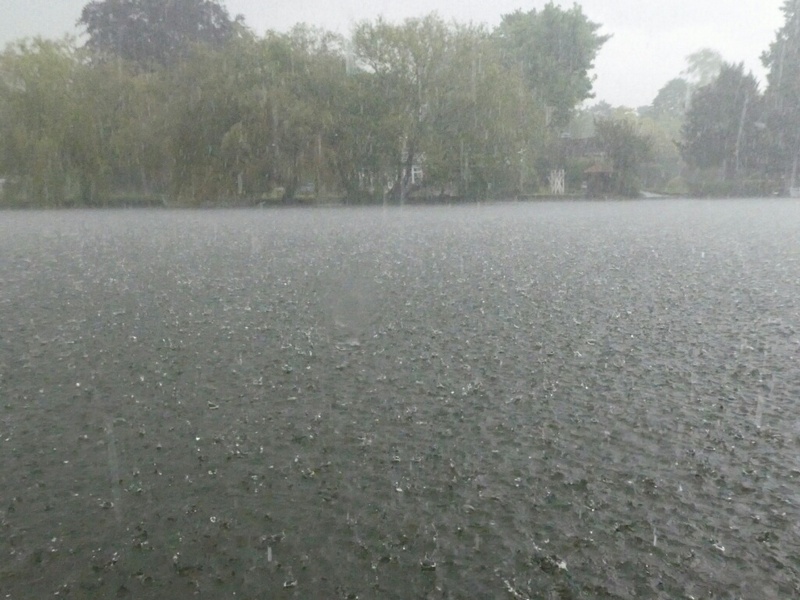 In late afternoon the was a terrific thunderstorm. The surface of the river changed dramatically.